I know. I’m not supposed to be biased. As a journalist, I’m required to take an objective, even-handed approach to the artist I interview. However, we all bring who we are to the table. And who I am is a dad with a 10-year-old daughter who is convinced that “cool” music was invented by the Christian pop-dance trio known as ZOEgirl. And that’s not a bad thing since the girl group laces their lyrics with a positive, biblical approach to issues ranging from simple theology (“I Believe,” “With All of My Heart”), to complex topics of self-esteem (“Plain,” “Give Me One Reason”). Knowing their already profound influence on my daughter (the Mix of Life CD has been played on our car stereo, oh, I would say, a minimum of a bazillion times), I was already predisposed to like the ZOE ladies before I joined them at Borders Cafen the Nashville, Tenn. suburb of Brentwood. Chrissy Conway learned to play the piano by imitating Debbie Gibson records. Kristin Swinford is married and loves cats. Not exactly material to create a firestorm of controversy. Which suits this female trio just fine. They have more important things on their minds these days, including their first headlining tour, built around the group’s new progressive pop project, Different Kind of FREE. But how did they get their own tour? How did these three young women come together to create a singing group that captures the attention and minds of its young audiences? The ZOEgirl journey began in California’s San Fernando Valley. It then wound through the heartland of Jackson, Mo. to the beaches of southern New Jersey. These are the centers of life where the musical gifts of ZOEgirl took root. For Girard, the ministry template was formed at an early age by observing her father, Chuck Girard (one of contemporary Christian music’s pioneers), in concert. Swinford’s musical DNA was also inherited. From her grandfather’s jazz styles to her mother’s introducing her to a vast spectrum of genres, she is a veritable musical connoisseur. God’s direction eventually brought Swinford’s calling into focus, placing her at Missouri Baptist University, where she sang in a Truth-like ensemble, then transferring to Belmont University in Nashville. Through an audition, she joined Girard, who previously moved to Nashville to initiate the singing group we now know as ZOEgirl. Still, there was a missing piece to the ZOE puzzle. The last thing on Conway’s mind was anything that had to do with sharing the spotlight. From childhood into her teens, her life consisted of singing and performing in local theater. In time, she joined a band that included the then-unknown mainstream artist Pink. Disappointment followed, as the project the group worked on for five years never saw the light of day. The band disbanded and, rejecting any further notion of musical ensembles, Conway was on course to be the next Britney Spears, poised to sign a secular recording deal with Def Jam Records. Then Conway prayed. And God stepped in. In this case, God’s sign was audible. The phone rang. ZOEgirl officially debuted in 2000 with the release of their self-titled project. Although this is a modern ministry, Girard’s dad, Chuck, notes the parallels between ZOEgirl and his own foray into Christian music nearly three decades ago. Communication — meeting the audience where they are — has been the goal of ZOEgirl from the beginning. They really have a heart for, and their music connects with, pre-teen and teen girls. Not lost on the members of ZOEgirl is that not only were those little girls listening, they were watching. With the success of the group’s first two projects came instant recognition, which immediately thrust them into the spotlight — of role modeling. That’s why Conway, Girard and Swinford take very seriously the way they handle themselves offstage as well as on. In a relatively short career span, ZOEgirl is beginning to amass a long list of achievements: the Dove Award for New Artist of the Year, top-selling CD projects and an ASCAP songwriting award for Conway. But there’s no time to enjoy the laurels and platitudes. They are releasing a new album, Different Kind of FREE, and have been offered the opportunity to headline their own tour. This new album is unique in that it was designed for a tour such as the one ZOEgirl launched with the Tait band in August and is continuing through the fall. The women hope that this new music will evoke a response like never before. To be sure, Different Kind of FREE is a different kind of record than the group’s previous releases. The pop-dance elements remain, but with an edgier polish. What hasn’t changed is ZOEgirl’s penchant for tackling the tough issues faced by its young audience. Psalm 33:14,15 provides the backdrop for the song, “You Get Me.” Conway wrote the song to speak to that part in all of us that yearns to be accepted, loved and understood. She knows that sometimes, people will do anything for approval and recognition. The new songs are ready. The tour is underway. 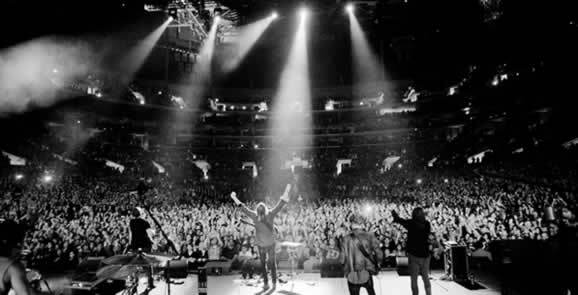 But what brings the members of ZOEgirl to this moment goes far beyond hard work and dedication, beyond learning effective concert presentations from touring with artists such as Newsboys and Carman.